Kohl’s Corporation (KSS) is scheduled to report its earnings for the second quarter on Tuesday before the market opens. Analysts view an upbeat bottom line with growth from the top line and comparable sales to drive the results. An increase in traffic and store count growth is also on the investors’ forecast cards. Analysts, on average, expect the omnichannel retailer to post earnings of $1.64 per share versus a reported EPS of $1.24 last year. Revenue is predicted to rise 2.9% to $4.26 billion. The company had shown a positive earnings surprise three times in the past four quarters. 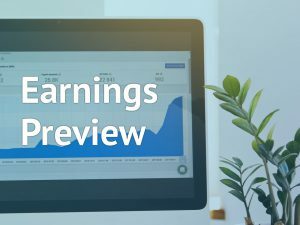 Looking ahead, market analysts project earnings to grow by 37% for the third quarter and by 28.6% for the full year 2018. On the suggestion front, the majority of the analysts are recommending a “hold” rating on the stock with an average price target of $76.35, followed by few giving a “strong buy” or “buy” rating. For the recently completed first-quarter, Kohl’s net income grew by 14% helped by better inventory management. Revenues rose 3.5% and comparable sales increased by 3.6%. For the full year 2018, the company is expected to benefit from its continued focus on traffic improvement and stores expansion. Also, the company is expected to keep its expenses under control in line with its projections as more investments are being made for ensuring long-term growth. Recently in June-end, Kohl’s announced seasonal hiring plans for more than 300 store locations. The company had expected to start hiring from August at all Kohl’s stores, distribution and e-commerce fulfillment centers, as well as credit operations nationwide. The hiring is likely to continue through the holiday season. Shares of Kohl’s have surged more than 110% for the past year and more than 45% so far this year. The stock has gained more than 23% in the past three months.